Shannon is a career entrepreneur with half a lifetime in the trenches. 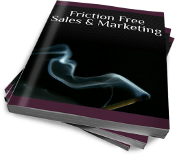 Through the highs and lows of dozens of businesses, and business attempts, Shannon has emerged as a leader in the grizzled world of financial lead generation. With his company, Lightfoot Media, he continues to build and develop a multi-national technology based empire focused on disrupting the lead generation industry. Is There A Success Club?